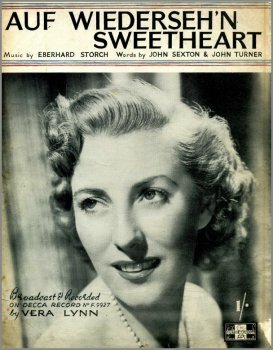 (born Vera Margaret Welch on 20 March 1917) is an English singer and actress whose musical recordings and performances were enormously popular during World War II. 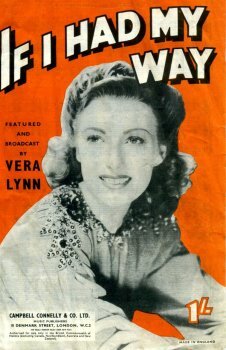 During the war she toured Egypt, India and Burma, giving outdoor concerts for the troops. 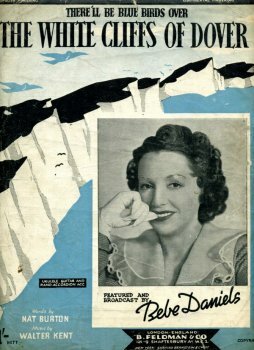 She became known, and is still referred to, as "The Forces' Sweetheart"; the songs most associated with her are "We'll Meet Again", "The White Cliffs of Dover" and "There'll Always Be an England". 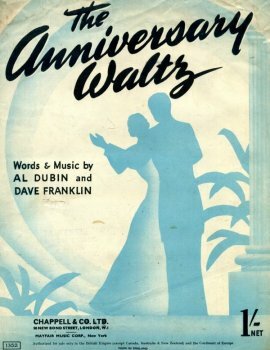 Words and music by Al Dubin & Dave Franklin. Words and music by Jack Popplewell. 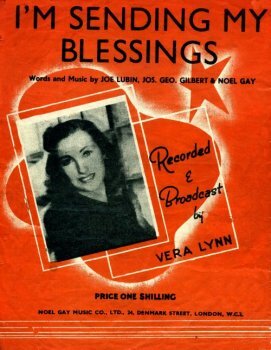 1945 Recorded by Vera Lynn. Vocal with Piano. Uke. Chords. 4 pages including front cover. Words by Lou Klein, music by James Kendis. 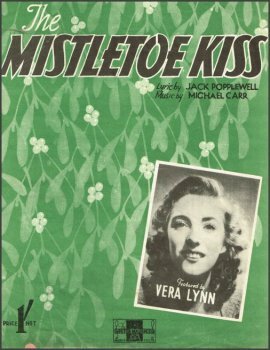 Arranged for piano with vocal line and chord symbols. 4 Pages including front cover. Words and music by Joe Lubin, Jos. Geo. 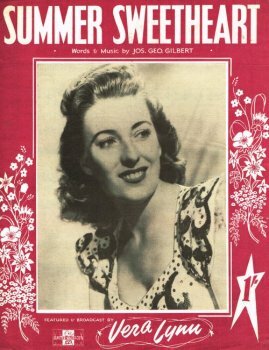 Gilbert and Noel Gay 1944. 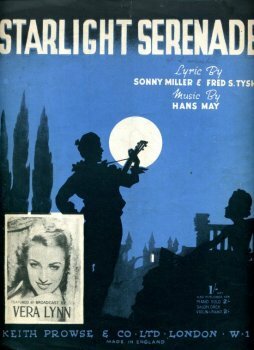 The original sheet music is in poor condition but well worth saving. The scanned pages are still quite readable. 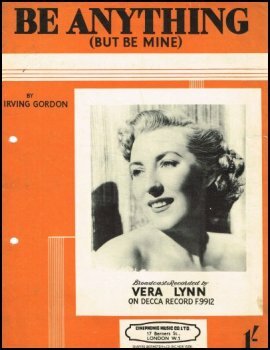 Featured and broadcast by Vera Lynn. 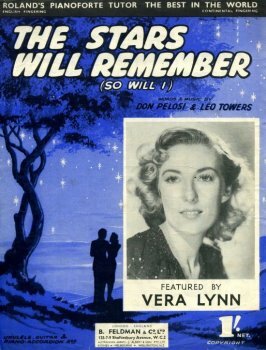 By Don Pelosi and Leo Towers 1946. 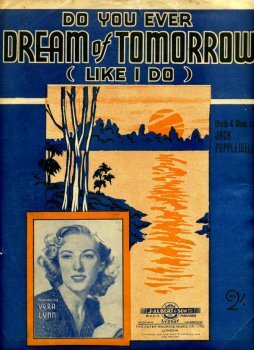 Arranged for piano with vocal line and ukulele/guitar chord symbols. There'll Be Bluebirds Over) The White Cliffs of Dover. Words by Nat Burton. Music by Walter Kent. 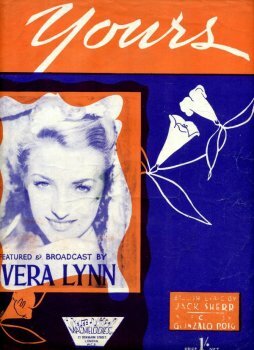 Featured by Vera Lynn and later by Bebe Daniels. English lyric by Jack Sherr. Music by Gonzalo Roig. 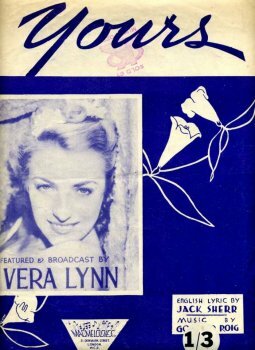 A Featured and broadcast by Vera Lynn. 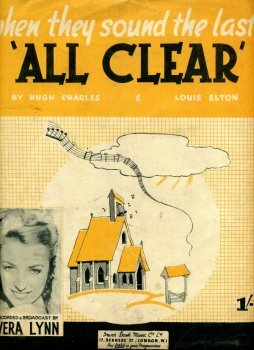 As above but with a different cover design.